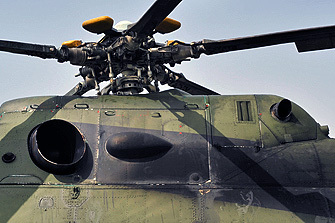 The most significant difference between the first and second Mi-8 generation is the replacement of the TV2-117 engines by more powerful TV3-117 engines including reinforced transmission. The more powerful TV3-117 engines guarantee higher flight safety and better flight performance in hot-and-high conditions. 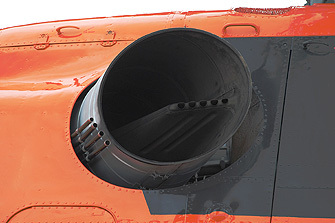 Outwardly the new engines are identifiable by the clean oval-section jetpipes. 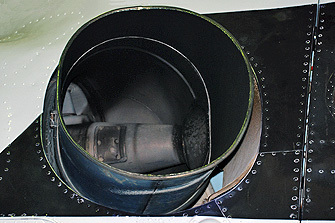 In contrast, the TV2-117 engines have circular-section jetpipes with several characteristic thin pipes running along the leading edge. As distinct from the TV2-117 engines, the TV3-117 engines are started by a low-pressure air starter. 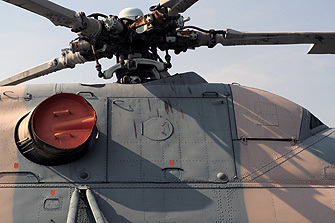 Hence an auxiliary power unit (APU) is installed aft the main gear box. 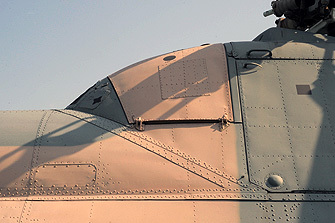 The APU is mounted at 90° to the fuselage axis. The air intake is on the right hand side and the exhaust on the left hand side. 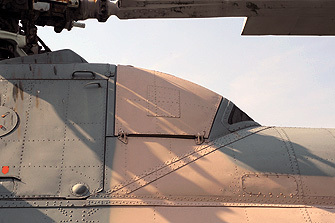 Also, the APU installation changed the shape of the main gear box cowling, with a pronounced hump aft the main rotor head instead of the first generation smoothly curved contour. 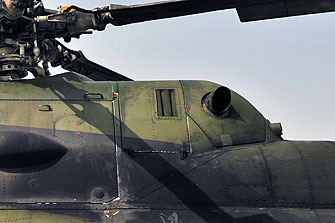 The most visible difference from the outside between the first and second Mi-8 generation is the relocation of the tail rotor from the right hand side of the tailboom to the left hand side, switching from pusher to tractor configuration. 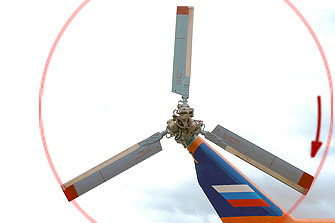 The two rotors turn clockwise when seen from the hub. 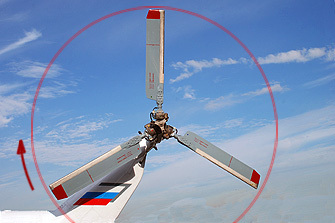 The forward blade of the first generation Mi-8s goes down, i.e. 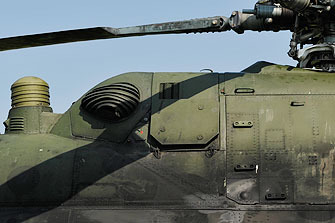 with the main rotor downwash. 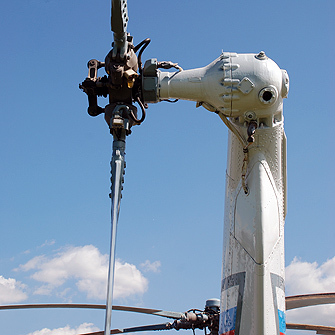 But the forward blade of the second generation Mi-8s goes up, i.e. 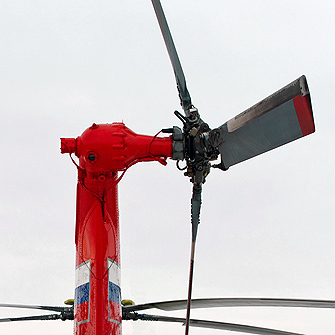 against the main rotor downwash. This increases the tail rotor efficiency dramatically.